This is the straight-to-the-point introductory line of a Georgia State student petition titled Stop The Tutorials that was available for students to read and sign online. The petition began on Nov. 5 and collected a total of 230 signatures before coming to a close as results were turned in to the university’s physics department on Dec. 5. Sebastien Lepine, the department chair, and Brian Thoms, associate chair and physics undergrad advisor, have decided that Tutorials will remain in use, rejecting the petition. The petition includes research with responses from 398 other universities across the nation on what their pre-lab consists of. This research wasn’t conducted by a group of students or a particular student organization – it was an independent undertaking by one student alone, computer science major Brennan Maddox. Lepine outlined the three main methods for teaching physics. These are the lecture, the lab and the new method of teaching – a recitation session – which is what Lepine and the physics department are implementing Tutorials for. “By thinking about specific problems and writing down how they think a specific scenario would work. Students come up with their own understanding of how the world – and how physics – works,” Lepine said. Georgia State physics students learn by all three methods. The lab session includes an hour for Tutorials assignment and then a two hour hands-on lab. Because of this, many students see the tutorials assignment as a pre-lab session. Thoms said this is one of the biggest misconceptions of the petition, as the tutorials were not designed as a pre-lab, but as an entirely separate learning experience. Maddox acknowledges the misconception of the Tutorial serving as a pre-lab although he still sees fundamental problems with the text, and he isn’t the only student who feels this way. “It was an excuse for the professors to not teach a lab rather than supplemental material,” Georgia State physics student Gary Dean said. Maddox’s initial frustration with the text began with the cost and the requirement for every student to purchase the book individually to receive a grade in the lab. The use of Tutorials began in 2013, when Georgia State was selected to become a PhysTEC comprehensive site, receiving $300,000 in grant money from the American Physical Society over a three-year period. This began what the university refers to as the lab redesign. Thoms said that removing Tutorials from the classroom is possible at this point, as the grant came to a close in 2016. However, they “have no intention of making a change,” Thoms said. While doing his research, Maddox found mixed reviews on the Tutorials, with some who praised the text and its “well-researched” qualities. Georgia State has done its own research on the success rates and student attitudes toward the program. The study found that at Georgia State after the lab redesign, there was a decrease in drop, fail and withdrawal rates in the two courses. Physics 2211K decreased from 16 to 12 percent while Physics 2212K decreased from 14 to 9 percent. Maddox agreed that the lab redesign seems to be beneficial but doesn’t see the correlation between the Tutorials specifically. The book isn’t exactly cheap when it comes to a college student’s budget, selling for $71.50 at the Georgia State Bookstore. The petition notes that between the main lab book and the homework book, less than 40 percent of the material is used for the class, so some students don’t think it’s worth the cost and have asked the university to create their own material and questions. “We would be more than happy to do this, but the university does not have the resources to do this,” Lepine said. 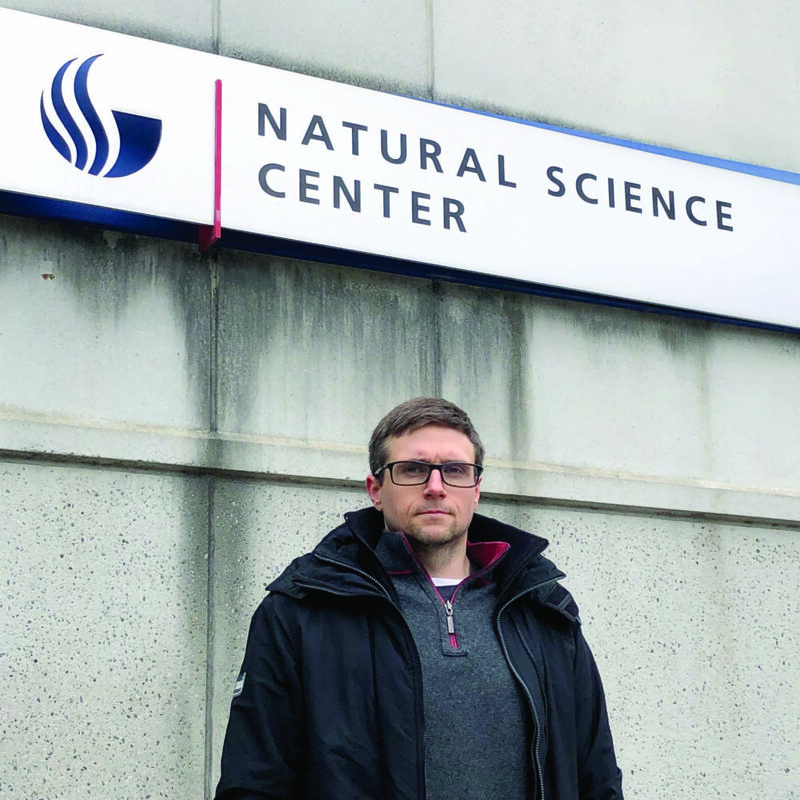 This development would require a team of faculty to set aside a large fraction of their time to create the material, and since faculty is limited and are currently teaching this would require hiring additional faculty to create the material, according to Lepine. Maddox referred to a flyer for recruiting undergraduate learning assistants to teach the Tutorials section of the class. He said that the LAs spend five to seven hours per week, one hour in class on teaching physics, and receive a $1,120 stipend per semester. He said that these questions developed each week could be compiled and built upon each semester to create new material. The department will be trying to find solutions to better accommodate students with this new learning method, according to Lepine. One idea from the department is to schedule the lab, lecture and Tutorials section separately. Maddox doesn’t see the length of the combined lab and tutorials session as a problem. He said he thinks there’s something that they could better be spending their time on. Although the university has denied the request of Maddox and those who signed the petition, he is satisfied with his work and hopes he set something in motion.